This post contains affiliate links – if you choose to purchase any item via an affiliate link, it will cost the same to you but I will receive a small commission. Thank you for supporting the brands that support Stress Baking! 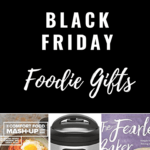 The intention of today’s post is to get you a quick list of holiday gift ideas for the foodies in your life, and I’ll come back throughout the day to update it with Black Friday deals as I see them – so check back to see if there’s anything new and remember that Black Friday deal prices can change quickly, and they’ll go fast! 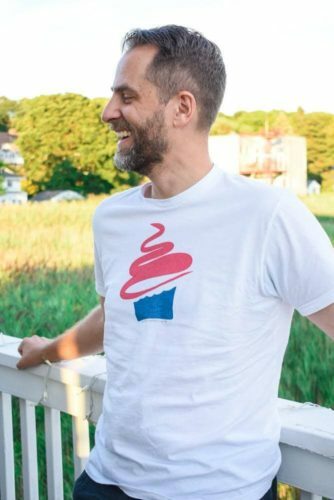 Not only is Dan a friend, but he’s a ridiculously talented cook that comes up with comfort food concoctions I never would have thought to create – and I can confirm from tasting them personally, they are damn good. I will never stop having good things to say about these. They have saved my pantry organization sanity a million times over. Oh hey, this guy again. I have two words for you: S’mores Tots. I use mine all the damn time, because the full sized mixer isn’t always the right appliance for the job. I like to tell people to get this bad boy in “Stress Baking pink”. We’ll pretend that’s a thing, okay? Okay. DON’T MAKE ME PICK A FAVORITE RECIPE. I CAN’T DO IT. We got one as a wedding present at our shower last weekend. I used it to make soup for Thanksgiving yesterday. And ERMEHGERD I can’t believe it’s taken me this long to get one. This book is the ultimate baking confidence boost. She gives you that “If she can do it, I can do it!” feeling with gorgeous imagery to boot. Exactly that. Pretty, beautiful, gorgeous dishes that look good and make you feel good. And also, she’s completely sweet and adorable. It doesn’t hurt. If you’re looking for a beautiful book you can thumb through to peruse food that could easily be presented in a museum, this is the book for you. Cenks story and the recipes are pretty great, too, FWIW. A fellow New Englander whose name I bet you’ve seen around the internet. This girl knows how to throw a party, and does it with the perfect amount of class and New England flair. Maybe you’ve heard of this book. Or maybe you’ve just heard of/seen the show on Netflix. Either way, this book is a game changer for the way you look at cooking your meals, and Samin is the most endearing food personality I think I’ve ever met – probably because her true passion and love for food is so apparent and flows through her writing just as much as it does on camera. Shameless self promotion here, how ya doin’ today? But seriously, the people that have purchased these shirts (and mugs!) have loved them, and one person even told me that they bought two so that when the first one wears out, they have a backup. Aww! 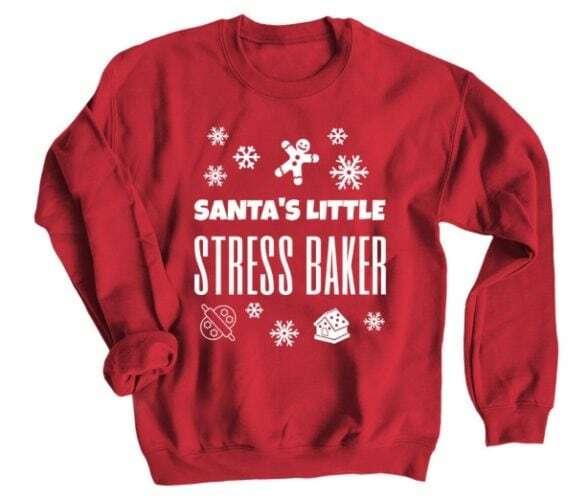 New this year, I also have a “Santa’s Little Stress Baker” sweatshirt (other styles available as well) that will keep you cozy and warm while you whip up dozens (and dozens, and dozens…) of Christmas cookies. But the deal with these is that they need to be crowd-sourced to a certain quantity before it can print – so tell your friends! Looking for more gift ideas (for others, or maybe even yourself)? Hop over to my Amazon Shop page for all the products I love and recommend!